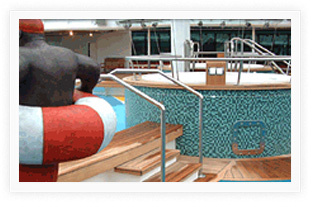 Ship outfitting, particularly around swimming pool areas, presents its own unique challenges. It requires great technical skill, experience, and a highly developed, intuitive feel for design. The Mediterranean feel of the pool area is the result of an interplay between the pool mosaics made of Italian ceramic, the shower units made of glass bricks, and the harmonized themes of the bar fitout. The poolside showers are built from glass bricks that take on the hue of their surroundings and thus fit in well with the overall visual effect. 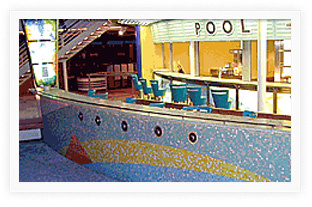 The main pool looks onto a ‘50s/’60s-style bar complex. 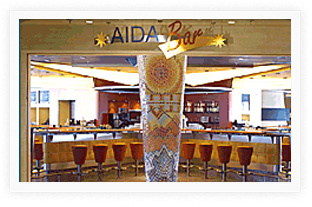 Bisazza glass mosaics in geometric shapes on the floor and bar upright, and the bar top made of Logos (artificial stone with glass fragments and glasswork inlays) create the desired effect. 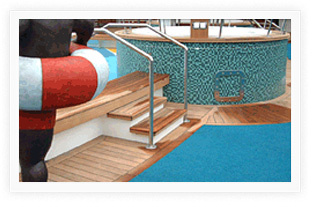 Of course, tiling work on ships is more than ‘merely’ fitting out the pool areas. 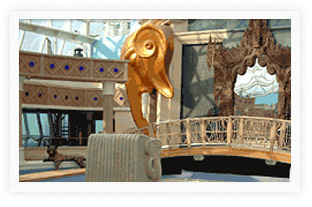 We also work to architectural designs on purely decorative elements, such as this sculpture in the restaurant area aboard the “Radiance”. the Royal Suite, with its benchtop of black Nero Assoluto Granite. 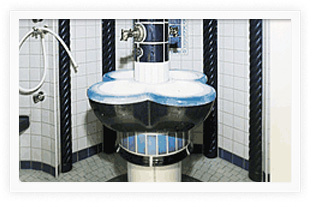 Ceramics, mosaics and natural stone also endow the other cabins with their own unique ambience. 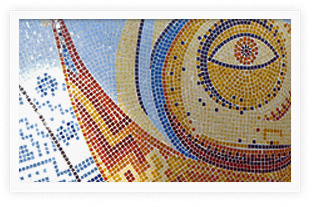 mosaic of antiquity ­ brought right up to date. 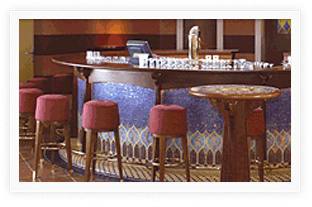 in no small part by the Moroccan-style mosaics. wall finish, stretching several metres. 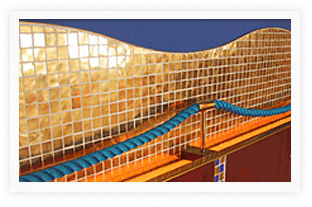 The glass tiles are decorated with genuine gold leaf, creating a truly unique visual effect. 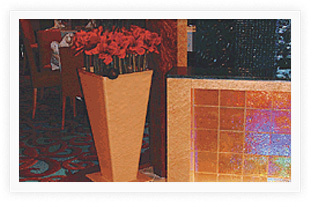 »Calypso Restaurant« its special flair. 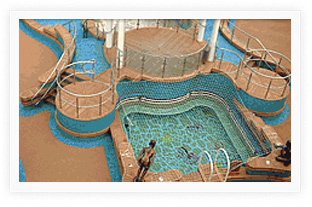 Our work on the main pool area aboard the “Norwegian Star” underscores the impressive color scheme of the deck complex as a whole. 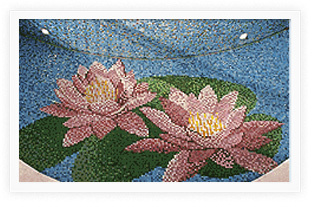 A good deal of the color impact is created by the various mosaics. 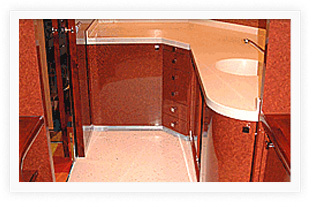 The materials are available in all colors and shades. 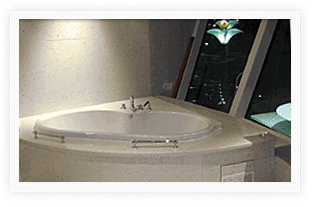 The ship’s owner has a wonderful panoramic view of the pool complex from his penthouse suite. 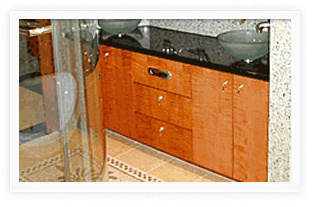 The bath area was fitted out with our customary care and attention to detail. Its lightness and clarity of design gives it a special beauty. 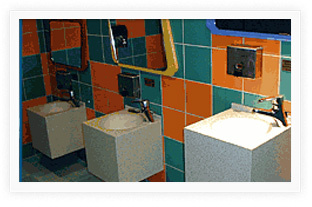 The children’s washroom area is cheerfully bright and colorful. 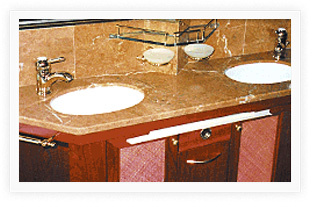 With washbasins set at a range of heights, the facility caters for even the youngest of guests. 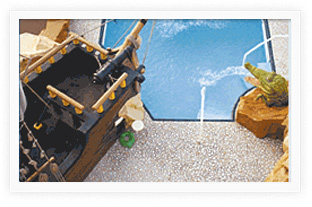 The canopied solarium pool features a distinctive “Africa” design. 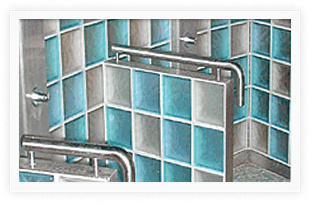 The successful implementation of theme-based projects like this depends on good communications between customer and contractor. 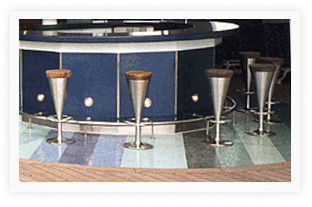 We provide ourselves on providing quality, expert advice to our clients – seafarers and landlubbers alike – and help them find the right materials to create the desired effects. 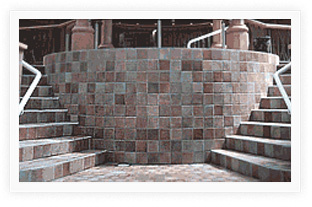 This pool shows that the choice of materials can make two similar structures look vastly different. 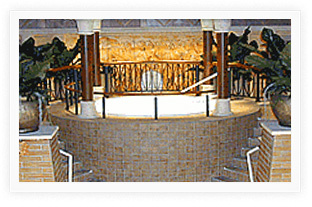 While its stair cases and walls are practically identical to those of the solarium pool, both pools have their own unique character. 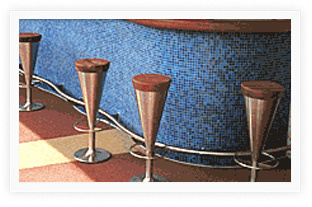 Floor mosaics and intarsia work are always eye-catchers. 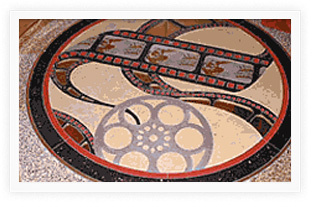 This intricate intarsia pattern in the entranceway to the “Brilliance Cinema” is no exception. 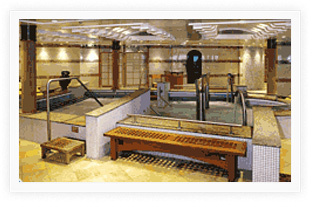 Water and stone work wonders for the body and the senses in the Aqua Spa Kneipp water cure centre aboard the “Mercury”. This tactile and visual embodiment of the wellness concept owes its attractiveness to a careful combination of wood and natural stone. 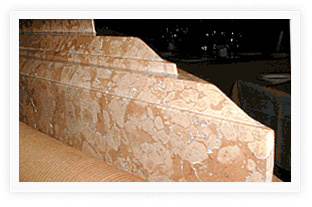 The floors are made of Solnhofer Marble from Germany’s Altmühltal region, near Nuremberg. 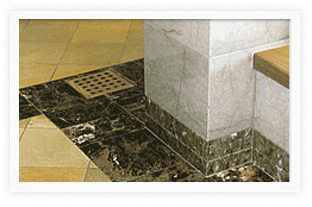 The dark-brown Emparador of the skirting and surround accentuates the warm tones of the marble floor area. 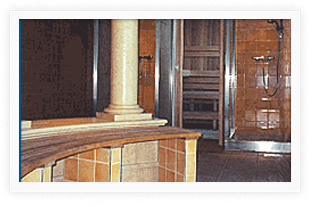 In the Turkish steam bath, the overall impression is created by the use of ‘water colors’ and organic forms. 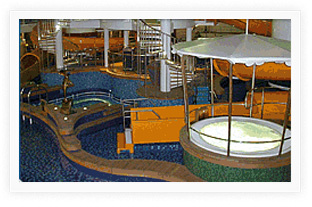 One of the big attractions aboard the “Norwegian Dawn” is the main pool complex with its succession of differently-temperatured pools. Basic curved forms, intricate glass and porcelain mosaics, bronze figures and warm-toned wood all contribute to the complex’s inviting appearance. 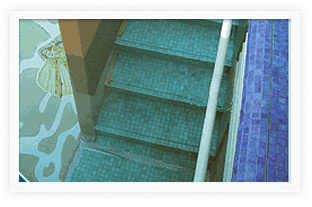 …and on the steps of the poolside staircase. For the bar design we tried something a little different: Instead of incorporating the glass bricks in their entirety, we cut them into slices and mounted them on the surface like tiles. 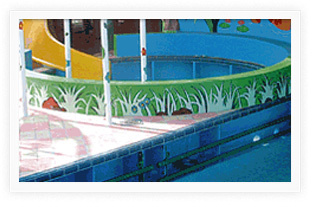 The children’s pool on the quarterdeck. Floor tiles, benchtop and rear wall in the “American Kitchen”. 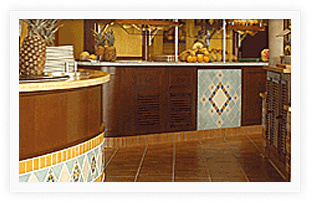 The counters in the restaurant area are finished in bronze tiles. 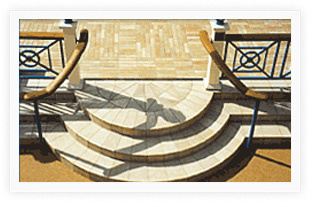 Swimming and wellness areas with Roman and Greek-inspired designs were created on the »Superstars«, using fire-finished granite and burnt ceramic from Italy, combined with Florentine steps. 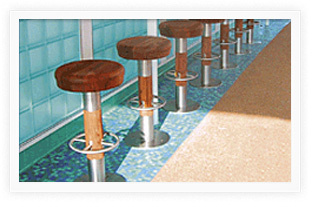 The granite pool bench elements were cut to size before being brought on board. 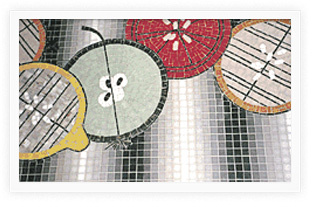 The glass mosaics from Bisazza were individually installed to suit the local requirements. 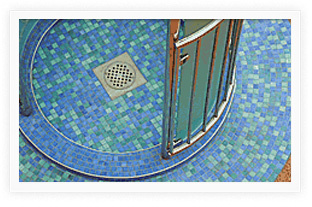 The eye-catching focal pointon the «MS Aurora» includes the pool area with waterfall and bar, finished with glass mosaic from Bisazza to a digitally prepared design and incorporating a giant flower pattern with colour transitions and gold sprinkles. 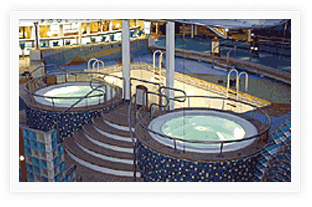 On the recently completed luxury liner »Serenade of the seas«, and similarly on the sister vessels, we were able to demonstrate our expertise in fitting out the pool and solarium areas. 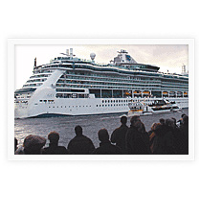 We were also responsible for 54 passenger suites, including the »Royal Suite« and »Family Suites«. 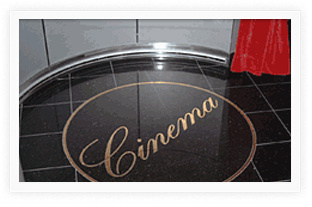 In addition, individual restaurant areas and the floor design, featuring mosaics, for the entrance area of the ship’s cinema bear our hallmark.